Things are moving at a good rate at the moment getting to spent a lot of time on the valver. I'm onto the cooling now. Ive had a look at this diagram here that is really useful. What i want to know is where does this pipe go to? I'm using throttle bodies so don't have a bypass hose. should it run directly through to the heater? There are 2 pipes coming off the back of the plastic pipe from the water pump that i would think go to the heater, like an inlet and a return is this correct? i blanked off the big one that goes into the water pump, i used a piece of tube the right bore (38mm i think) and welded a cover over the top and sealed it with a jubilee clip. the second outlet would normally go into the heater matrix, along with outlet on the plastic pipe nearest the water pump. the one next to it, (closer to the gearbox)goes to your expansion bottle. if your not running a heater, just link the outlet from the head to the to the outlet on the plastic pipe nearest the pump. Been on the road 12 months now, and im still working on it way too much! ooo ta that helps a lot thanks . So no matter if i use a heater or not the hose in the 1st pic isn't used for anything? No, it was originally used for the water heated inlet manifold and went back into the head. thats why the o/s trottle body is longer to blank off the outlets in the head. there are 2 holes in the right end of the cylinder head looking from the inside of the car. One of them (nº 1.) is conectet to the water system, but where should I plug this one in? nº 2. is a hole, but I don't know what is this for¿?¿? I'm running tb's. Hope you can help. If you don't have an expansion outlet on your radiator then Use no1 as the overheat 'expansion', feeding the small bore inlet into the top of your water fill reservoir. If you can take your expansion line off the radiator then blank off no1. Thanks a lot for the information! In my case I do have an expansion line form the radiator. Should I than just blank nº1 off or would it be better to conect both to the expansion tank¿? Now that you've said it, I remeber that alternator mount. Thanks a lot for your help, even if they are stupid cuestions for lots of people there are very helpfull to me. OK been looking at the diagram and SBD diagrams for C20XE Coolant system. My circuit is slightly more complicated. Starting from the thermostat housing the water flows through top hose into an upside down mini MPI rad then into FZR 1000CC rad. Then back into the bottom hose and round the circuit. The fzr rad has a thermost housing and filler with pressurized cap ( handy for filling and getting out airlocks). I've removed the thermostat. This filler has a small overflow but I believe this only comes into play if the pressure in the system exceeds the cap spring / plunger pressure. My header / expansion tank has 3 x outlets ( corsa c or earlier astra GTE type I think). Lower big outlet feeds the system then there is a medium sized outlet and a tiny outlet next to it. It is these that I want to plumb in and am pondering over. The MPI rad doesn't have a outlet back to the expansion tank. I'm thinking the medium outlet on the expansion tank should either be "T" pieced into the inlet manifold small outlet next to where the alternator bracket used to be, OR somehow I should feed this back into the top hose part of the circuit? Then I need to decide what to do with the tiny expansion tank header, or is this a breather left open or blanked off? I've also used the mpi type heater valve in the heater pumbing, this is just an open and closed valve. I take it that when this is in the closed position the coolant takes an alternative route bypassing the heater loop? Advice please if you know about these matters. Best you don't fill lines 9 & 12 with water they're breathing the crank case. Yes agreed, but no much chance of that. 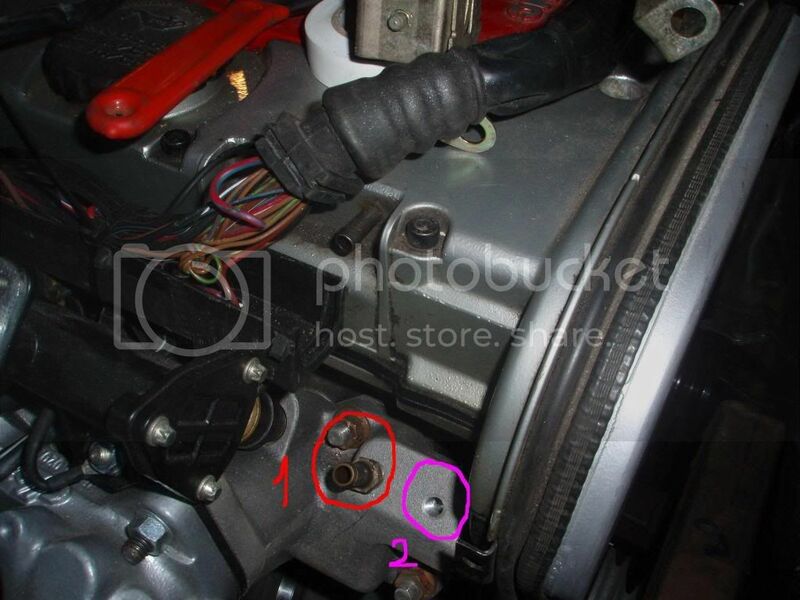 From what I understand the upper expansion tank outlets can ideally connect to rad with expansion tank take off, or into connection on inlet manifold next to original alternator site, or tap into thermostat housing (top hose side).